Pixar had a strong feature film showing at this year’s D23 Expo, but that doesn’t mean they neglected their short-form lineup. In addition to revealing the Monsters University short Party Central, the studio shared new details on the upcoming Toy Story of Terror and teased a new pair of Cars shorts. On Friday, Pixar concluded their segment of Disney’s animation panel by showcasing the first ten minutes of Toy Story of Terror (read a full synopsis over at /Film). Director Angus MacLane and Pixar general manager Jim Morris then shared more at a short-centric panel the following day, describing Terror as the studio’s "first horror film" while still remaining "accessible to everyone." Over the weekend, Variety also dropped an October 16 premiere date for the half-hour special. At the same panel, frequent Cars Toons director Rob Gibbs also took the chance to reveal two new entries in the series: Radiator Springs 500 1/2 and To Protect and Serve. Both will arrive next year on Disney Channel. With Party Central attached to The Good Dinosaur in 2014, it looks like it’ll be a while before we see another wholly original Pixar short. 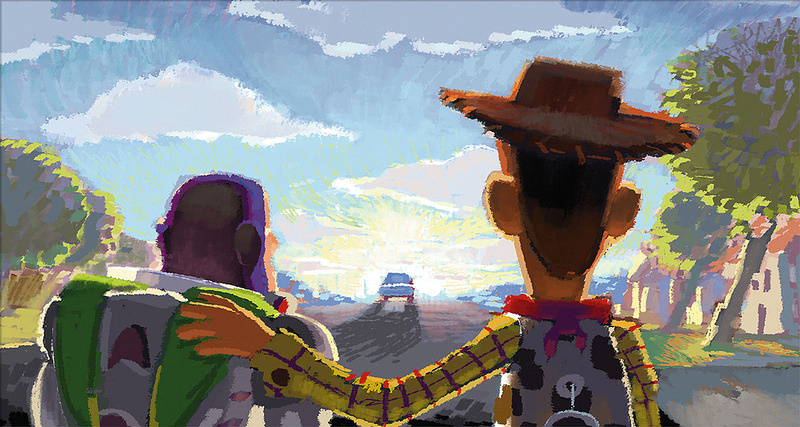 Still, Pixar’s franchise shorts continue to act as fun windows into worlds we already know and love. 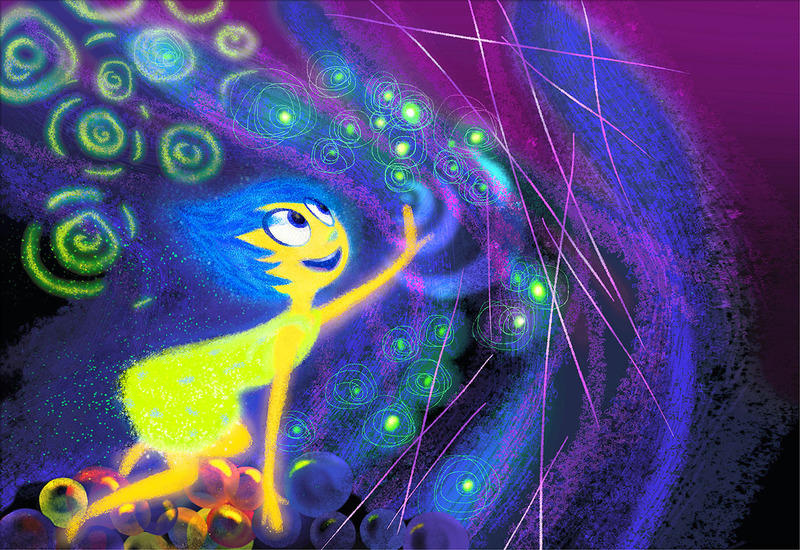 Which upcoming Pixar short are you most anticipating? Watch: Three New ‘Cars’ Mini-Shorts! To accompany last Friday’s Disney Channel screening of Up, Disney also aired three brand new Cars shorts. In case you weren’t able to catch them, they’ve just been posted on the Disney website for your viewing pleasure. Much like the vignettes often released ahead of the latest Pixar movie, these "shorty shorts" clock in at a quick 90 seconds or less. Each was directed by Jeremy Lasky (a frequent director of photography for Pixar) and produced over at Pixar Canada. Watch Hiccups below, and check out Bugged and Spinning at those respective links. In my opinion, the Cars universe really shines in short form; it allows just enough time with the one-off characters that they don’t overstay their welcome. When Disney showed off their impressive Disney Infinity game platform last month, they also introduced the three ‘playsets’ that would be included with it: Monsters University, Pirates of the Caribbean, and The Incredibles. In addition to these, Avalanche Studios is busy developing separately sold worlds to unlock ingame. The first of these has just been revealed: players will able to explore Radiator Springs from Cars when the game launches this summer! This is pretty much a no-brainer, as Cars is easily one of the most popular and profitable Disney/Pixar franchises. Lightning McQueen, Mater, Francesco Bernoulli, and Holly Shiftwell will be playable as gamers race and pull off stunts throughout Radiator Springs. The gameplay looks nicely varied compared to, say, the Monsters University world, so there should be plenty of incentive to pick the individual playsets up. Infinity will launch with six playsets; expect the last two to be revealed closer to the game’s June debut. Which Disney Infinity world are you most looking forward to exploring? Disney Preps ‘Planes’ for Theatrical Release! Previously set to be a 2013 direct-to-video release, DisneyToon Studio’s Cars spinoff Planes has been upgraded to an August 9, 2013 theatrical release, Box Office Mojo reports. This could be a good sign for those wary about the film, as this push suggests that Disney has confidence in the spinoff (keep in mind that Toy Story 2 was also a direct-to-video production before receiving the same treatment). It could, however, just be another result of John Lasseter being more fond of the Cars franchise than most. This should lead to even more confusion over whether Planes is a Pixar production or not, and may even create some unintended box office competition for Monsters University towards the end of its run. Enjoy these Pixar-related tidbits from the past week to help you get excited for Finding Nemo 3D and Monsters University. Finding Nemo in 3D arrives in theaters with Partysaurus Rex on September 14. "[Mike and Sully] end up in the same fraternity where they have this scare competition – like Greek Games in college. They have to mobilize a group, sort of like Revenge of the Nerds-monsters, and get them ready to be scary." Regarding the classic duo of Mike and Sully, he added "They’re 17 and 18 years old in the script. My guy has a retainer even." Sounds like we’ll get plenty of hilarious banter between John Goodman and Billy Crystal when Monsters University hits the big screen on June 21, 2013. Cars/Star Wars Die-Casts Unveiled: We don’t blame you if you’ve missed out on most Cars merchandise news in recent years, but this bit of info is worth a look. During a panel at a Disney Consumer Products event, a new lineup of Cars toys was shown off featuring Pixar’s vehicles in Star Wars garb. The mashups are pretty clever, including Luigi and Guido as C-3PO and R2-D2 (of course, no nod to Mater and Jar Jar Bink’s similar polarization among fans.) Check out the full gallery at Inside the Magic.